Abstract: Regularly, the radiation monitoring program is applied to all the radiation workers using physical dosimeter, in the TLD form, badge films and others. The monitoring from the biological aspect is called biological dosimeter as an indicator of the organ damages that caused radiation exposure, especially on the radiation workers in the radiology installation RSUP Sanglah Hospital are not much studied. Objective: This study aims are determining of the quantity and leukocytes components differences that caused environmental radiation exposure in direct contact radiation and direct non-contact radiation workers. Data and method: The research data was obtained through the blood test at RSUP Sanglah Hospital Denpasar with diffraction count method. The extent of the leukocyte component is determined by the absolute count method. The population in this study were 70 people with the total sample were 35 direct radiation radiation workers (30 radiograper people, 5 medical physicists) and 35 direct non-contact radiation workers (12 nurses, 18 administrative personnel, 5 medical records) . Results: Generally, the blood cell quantity values (hemoglobin-HGB, RBC-erythrocyte, leukocyte-WBC), as well as the percentage of WBC components (basifil-Baso, eosinophil-Eos, neotrifil-Neo, lymphocytes -Limfo and Monocyte-Mono) for radiation workers and non-radiation workers are in the normal range. However, in the normal range, radiation workers have a wider range than non-radiation workers, indicating that radiation workers have undergone a stochastic radiation effect. While the quantity of blood cells over the age range of radiation workers and non-radiation workers alike shows the stochastic effect tends to appear in the productive age of 31-40 years old. For the age of 21-30 years is still normal caused by a relatively new work mass. But at the age of 41-50 tends to approximate the deterministic effect, this can be understood because the mass of work that has been long enough. Conclusions: For long time in the radiation field area which increase the deterministic effect the cells of the human body response. Primarily, biological indicators of radiation as a dosimeter are used. Alatas, Z. Indikator Biologik dari Kerusakan pada Tubuh Akibat Pajanan Radiasi. Buletin Alara, 4, Agustus2002. Anna Giovanetti,Antonella Sgura,Giorgia Aversa, Biological Dosimetry, November5-8,2012-Sorrento,Italy. BATAN,Pusat Standarisasi dan PenelitianKeselamatan Radiasi. Presentasi Ilmiah Keselamatan Radiasi dan Lingkungan.1993. Cember H. and Johnson T. E. Introduction to Health Physics. Fourth Edition. Mc Graw Hill Medical New York. 2009. Cerveny, T.J., Macvittie, T.J., Young, R.W. Acute Radiation Syndrome in Humans. 1989. Effendi, Z. Peran Leukosit Sebagai Anti Inflamasi Alergik Dalam Tubuh. 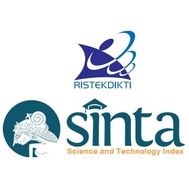 Bagian Histologi Fakultas Kedokteran Universitas Sumatra Utara. 2003. Hall, E.J.,Radiobiology for the Radiologist. 5thed. Lippincott Wlliams & Wilkins, Philadelphia 2000. Hall, E.J. The Bystander Effect. Health Physics. 2003. 85: 31-35 . Indro Y.,Konstribusi Dosis Radiasi pada Tingkat Kesehatan Pekerja Radiasi di P2TBDU, Puslitbang Keselamatan Radiasi dan Biomedika Nuklir -BA TAN. 2000. Mayerni, Ahmad, A. dan Abidin, Z. Dampak Radiasi Terhadap Kesehatan Pekerja Radiasi di RSUD Arifin Ahmad, RS Santa Maria dan RS Awal Bros Pekanbaru. Jurnal Ilmu Lingkungan.Dinas Kesehatan Provinsi Riau, Jl. Cut Nyak Dien III Pekanbaru. 2013. Vol. 7. No.1. Milan, TJM., Stell, GG. Molecular Aspects of Radiobiology In: Steel GG, editor. Basic Clinical Radiobiology.London: Edward Arnold. 1993. 211-214. Mitchel, R.E.J., and Boreham, D.R. Radiation Protection in the World of Modern Radiobiology: Time for A New Approach. Proceedings of 10th International Congress of The International Radiation Protection Association. 2000.